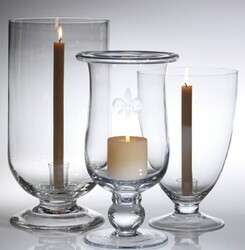 Readiness Hurricane Lamp for Candle. (Requires 1-1/4"diameter banquet candle-Not supplied). Premium Glassware. 15-3/4"h x 7-3/4" diameter.